DigitalBridge Archives · Stop the Cap! 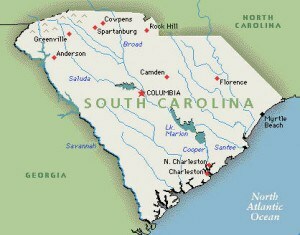 In the fall of 2009, South Carolina’s Budget and Control Board approved a fire-sale deal that leased out 95 percent of the state’s public wireless broadband spectrum to two private companies in a 30-year contract valued at $143 million, with the promise South Carolina would enjoy better broadband as a result. Two years later, South Carolina’s broadband standing has been called “a Corridor of Shame” according to one provider that is trying to expand service while Clearwire and DigitalBridge — the contract winners, sit on their respective hands. Both companies secured access to the statewide Educational Broadband Service spectrum they get to control with near-exclusivity for less than $5 million annually — around $1 a year for every South Carolinian that could eventually be served with improved broadband. But nobody is getting service from either provider, indefinitely. Columbia’s Free-Times notes neither company has concrete plans to bring broadband to anyone in South Carolina. Clearwire, now in financial trouble, provides no service in the state and DigitalBridge refused to comment for the newspaper’s story. Free-Times reporter Corey Hutchins could not find anyone able to provide any definitive information about either company’s short or long-term plans to hold up their end of the bargain. Khush Tata, chief information officer for the S.C. Technical College System suspects one might not even exist. So long as these two companies maintain a lock on the spectrum, nobody else can deliver the wireless service either. Don’t tell that to industry-connected Connected Nation, whose South Carolina chapter claims the state is doing better than most providing broadband service. The group has published maps, based entirely on data provided by the state’s phone and cable companies, that suggest most residents not only get the service, but have a choice in providers. “That’s just plain bull,” says Stop the Cap! reader Jeff Lodge, who lives outside of Columbia. Not only does the local cable company pass him by, but there is no DSL either. He relies on an unlimited wireless data plan from AT&T and does most of his web browsing during breaks at work. Even Connect South Carolina acknowledges broadband speeds in the state are often woefully behind others in the region. Many well-populated census tracts have no wired broadband at all. With the pervasive lack of broadband, incumbent providers have been heavily lobbying the state to keep others off their spartan turf — pushing for the same type of legislation effectively banning community broadband networks that North Carolina passed earlier this year. One company trying to make a difference: GlobalCo and their partner On-Time-Communications. A review of the under-developed website of the latter suggests neither entity is well-positioned or backed to deliver broadband without significant financial assistance. But at least they recognize the problem. “In South Carolina there’s 10 counties that made [the FCC’s report on broadband unavailability] and the majority of them come out of what’s commonly referred to as the ‘Corridor of Shame’,” Ronnie Wyche, GlobalCo’s vice president of sales told Free-Times. None of this comes as a surprise to Brett Bursey, director of the South Carolina Progressive Network, who opposed the spectrum sell-off.